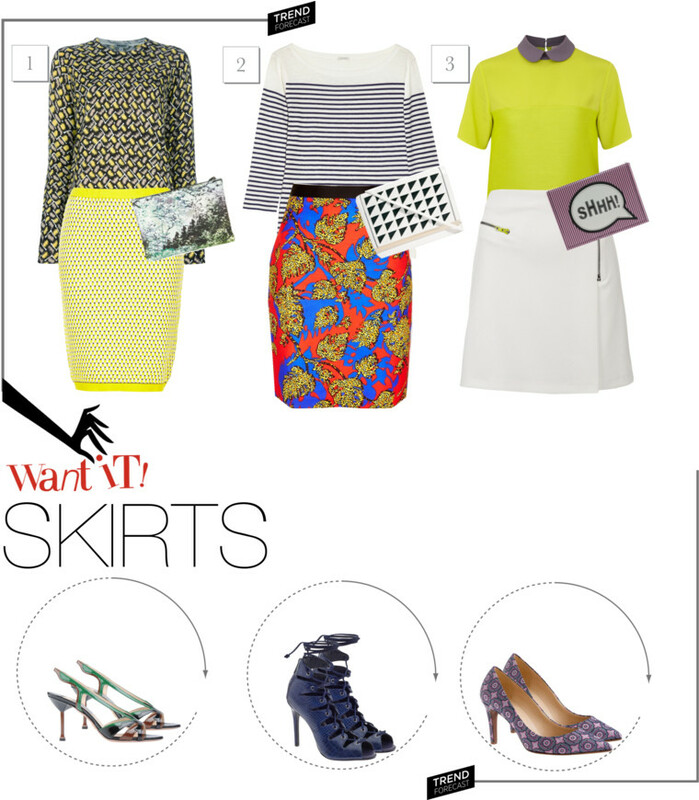 In variations of shapes, colors and prints, these skirts are definitely a key piece in every closet and for all seasons. I'm looking forward to wear something like this in the Fall, paired with sweatshirts or sweaters but until then here are a few suggestions for this last month of Summer. These colors are as a bag of jelly beans and I want them all!! I really love it! Totally in the mood for those skirts, and the outfits look so well constructed! LOVE ALL OF THESE V! YOU ARE DEFINITELY INSPIRING ME TO PULL OT SOME COLOR TODAY! great post! love the skirt in outfit number two!